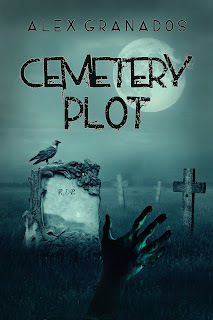 Full Moon Bites: Guest Post by Alex Granados, author of Cemetery Plot! 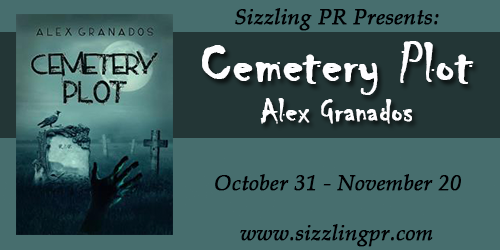 Guest Post by Alex Granados, author of Cemetery Plot! Given the title of this blog, I thought I would delve into the origins of my fascination with things horror. I must warn you ahead of time, however. 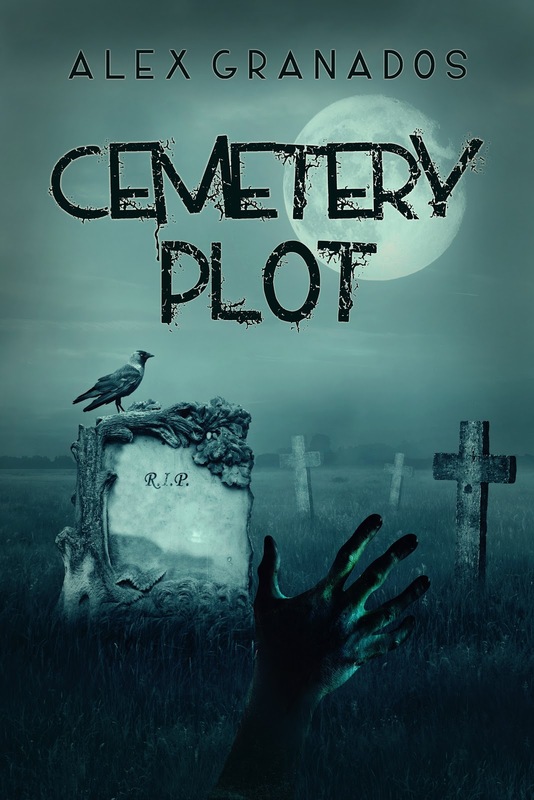 Though “Cemetery Plot” is set in a world of zombies, I don’t consider it a horror novel exactly. It’s kind of a horror/sci-fi mash up with an emphasis on farce. Nevertheless, zombies, those classical characters of horror, are the headliners, so somewhere down the line I did fall in love with these horrible creatures. Actually, the zombies themselves came to me relatively late in life. My first obsession with the supernatural came in the form of a book. My elementary school would periodically do these book sales, and I was always drawn to one called “Scary Stories to Tell in the Dark,” or something like that. They’re the kind of stories you tell around campfires, the things of urban legend and teenage fear. They’re popping up in movies more and more these days, which delights me. It’s like a trip through memory. After those books, I started getting into a Time-Life series on the paranormal. I would get a different book each month. One time it would be ghosts, the next ESP. I remember laying in bed trying to force my soul to leave my body after reading instructions on Out-of-Body experiences. Sadly, to this day, I haven’t made it work. Once I was old enough to start sneaking horror movies, I got into the “Nightmare on Elm Street” series. What I enjoyed the most about these was the notion of dreams as being a place where you could have unusual powers. I don’t know if you’ve seen them, but in the movies, there is a killer named Freddy Krueger. He is essentially a god in the dreamworld, making whatever he imagines come true. We also discover that the kids in the movies have unique powers of their own when they enter dreams. Today, it brings to mind notions of lucid dreaming — the idea that one can become conscious in his or her dreams and take control. I’ve tried that quite a few times and been successful on a couple of occasions. More experienced practitioners, I’m sure, have made many more dream journeys. And what childhood would be complete without Stephen King? I belonged to a book-of-the-month club where I would get a new offering from the master of horror each month. I remember “Pet Cemetery,” “Salem’s Lot,” and particularly, “It.” They scared the hell out of me, and I loved it. I don’t know why, exactly, I find them so interesting. Perhaps because zombies remind me of so many people I know. Regardless, “Cemetery Plot” will be my only zombie novel. I never actually planned to write a story in that kind of world, but it just came to me, so I brought it to you. I hope you enjoy it. Vanessa Hawthorne is a zombie. . .at least that was the plan. Miserable with her life, she agreed to participate in a fatal ritual that would transform her into one of the Living Dead. Instead, she wakes up decades later alive, unaged and living in a world overrun with graveyards. But when a real estate tycoon finds out about Vanessa, he will stop at nothing to discover how she cheated death. He hopes that this knowledge will give him the power to resurrect the dead. The money he stands to make is incalculable. And he is willing to do whatever it takes — kidnapping, assault and even murder — to get the job done. Luckily for Vanessa, she has Mark Nimocks and his friend Emily to protect her. . . but at what costs? A zombie apocalypse is in the works, and it will take a medium from the future to find a way to undo the end of the world. But can he actually help change the past? Or is the world fated to be destroyed no matter what? Alex Granados is a producer for The State of Things on North Carolina Public Radio WUNC and the North Raleigh News Columnist for the regionally acclaimed News & Observer newspaper. Cemetery Plot is his first novel. Alex received a degree in journalism from the University of North Carolina at Chapel Hill. He also has a minor in philosophy, which basically means that he used to think he was really smart but realized he wasn't in time to switch majors. Fishing, reading science fiction, watching crazy movies, walking his dog Zoey and late night dance parties with his wife are some of his favorite hobbies. Alex still doesn't know what he wants to be when he grows up, but he is holding out for astronaut.